According to a press release from the SAFD, at approximately 1:19 p.m., San Angelo Public Safety Communications received an anonymous call concerning a bomb threat at area Walmart stores. SAN ANGELO, Texas — The San Angelo Fire Department issued a press release (via the San Angelo Police Department) Monday evening addressing the "bomb threat" call that caused all San Angelo Walmart locations to be evacuated Monday afternoon. 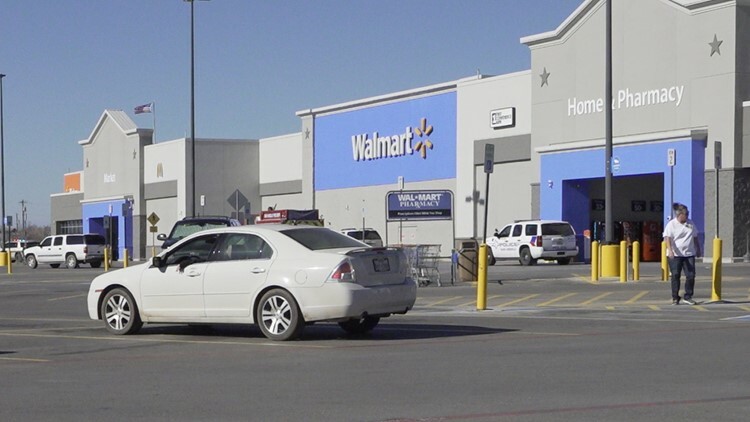 According to the press release, at approximately 1:19 p.m., San Angelo Public Safety Communications received an anonymous call concerning a bomb threat at area Walmart stores. Walmart officials evacuated all stores and members of the San Angelo Police Department, San Angelo Fire Department, San Angelo Fire Prevention Office, Tom Green County Sheriff’s Office and bomb-sniffing dogs and personnel from Goodfellow Air Force Base responded to each location. After the security sweeps, fire officials determined the threat was a hoax. No evidence of explosive devices was located. Following the determination, Walmart officials reopened the stores to citizens. According to the release, this is an active investigation and no further information is available for release at this time.